Shop for genuine replacement hedge trimmer, string trimmer, and brushcutter parts. Have your trimmer part number ready? Search for it above to find the replacement trimmer part you need! 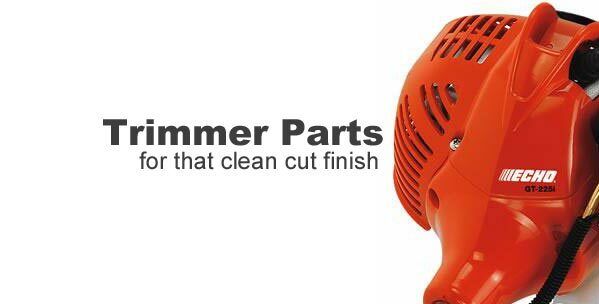 Looking for a replacement part for your string trimmer or hedge trimmer? RCPW carries parts from all of the top trimmer brands such as Homelite, Poulan, Echo, aftermarket STIHL, Ryobi, Toro, MTD, Yard Machines and other manufacturers. Can't find a part the part you need? Use our parts lookup. If you get stuck, give us a call at 800-937-7279 and we'll help you find the correct part for your application.